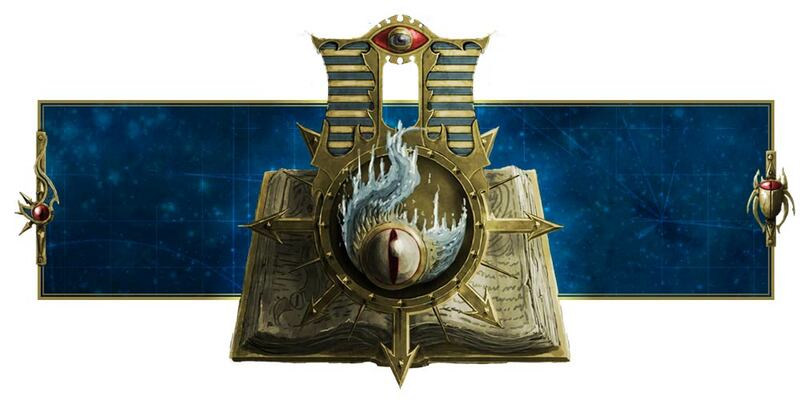 Adeptus Mechanicus, Imperial Knights, Astra Militarum and Thousand Sons: Madness? This is Magnus! Sorry for being late, but I was busily studying yesterday. School and all that. 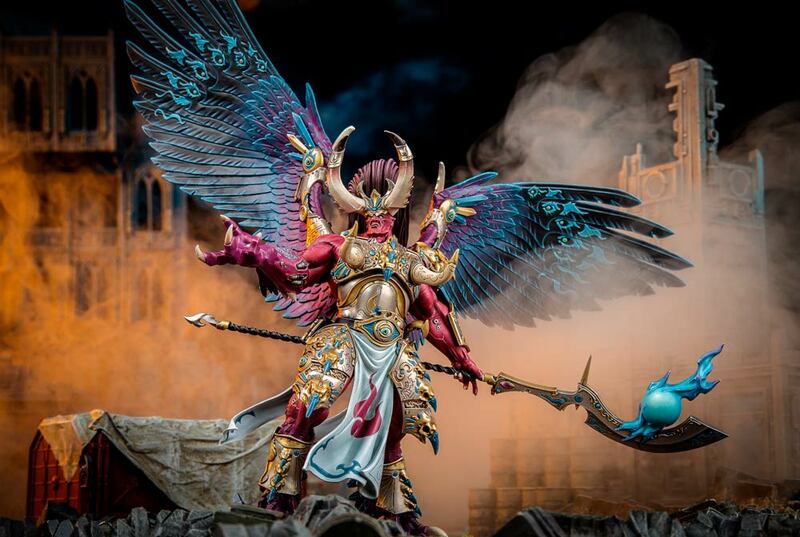 Anyway, Warhammer Community posted an article on Magnus yesterday! This time, Eddie has offered advice on how to tool up Magnus. The Crimson King is the best psyker in the game, and if you know how to use his rules, you'll be winning a lot of games. Apparently. Magnus, being the king of psykers, has access to 18 psychic powers from 3 different disciplines. It's going to be difficult to decide on what to take for Magnus, but throwing psychic powers is just so fun. There's a lot of options, and his passive buff to re-roll psychic tests of 1s and near-immunity to perils (you'll have to roll 5 ones in a row) plus the +2 to his psychic tests just makes him an awesome sorcerer. Eddie has suggested three main themes, but Magnus the Warrior just isn't recommended. Honestly, Diabolic Strength is best casted on someone else, like a Daemon Prince. And I need Warptime for my warpflamer Rubric Marines. Death Hex sounds like a good option, though. But the next two suggestions are pretty awesome. Giving Magnus Glamor of Tzeentch, Temporal Manipulation and Weaver of Fates will greatly increase his chances of survival, upping his invulnerable save to 3++, restoring wounds if he needs, and forcing a -1 hit to him. However, I'm even more tempted by the next one. Doombolt, Bolt of Change and Infernal Gateway, all of which deals lots of mortal wounds. Yeah, mortal wounds are awesome! I love mortal wounds! Not only that, you can increase his Smite and Infernal Gateway over the 10+ or 12+ with Cabalistic Focus. This is my favorite loadout, same as Eddie. Then again, that's why I play Thousand Sons. For mortal wounds and psychic powers. Heh. Take note, Magnus has +6" range to all his psychic spells (woohoo! ), and his Warlord Trait (if you take him as your Warlord Trait) is knowing an extra spell. Wish it was casting another spell, but okay. That's still better than nothing. Then again, that's what we have the Great Sorcerer Stratagem for. 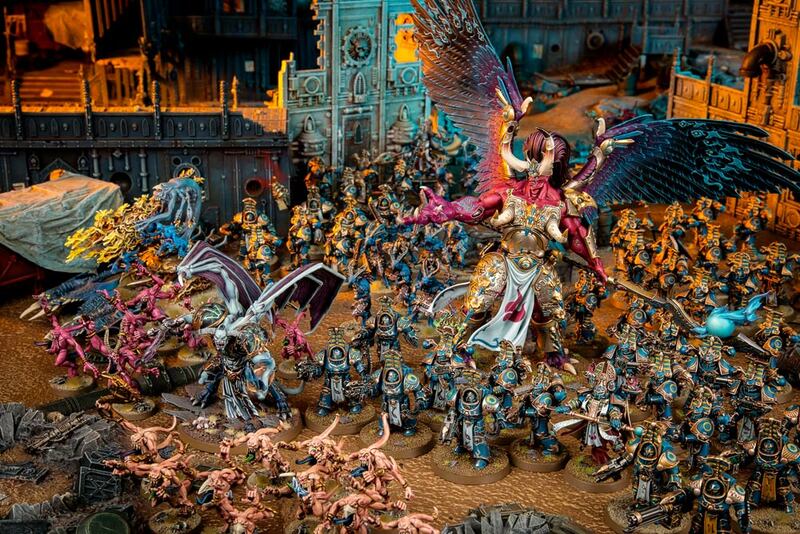 I'll keep any eye out for more Thousand Sons articles and let you know when we get more stuff! Oh, and one last thing. Don't despair if Magnus dies. If your opponent spends the first couple of turns trying to take him down, that means the rest of your army are pretty much left untouched. Capitalize on that and let the rest of your army smash the guys who were audacious enough to think they could shoot at a Primarch!